What is the Purpose of Recycling Bins? 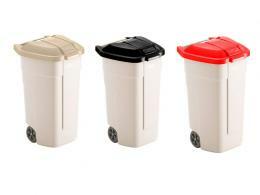 Make any office an environment champion with recycling bins in multiple colours. 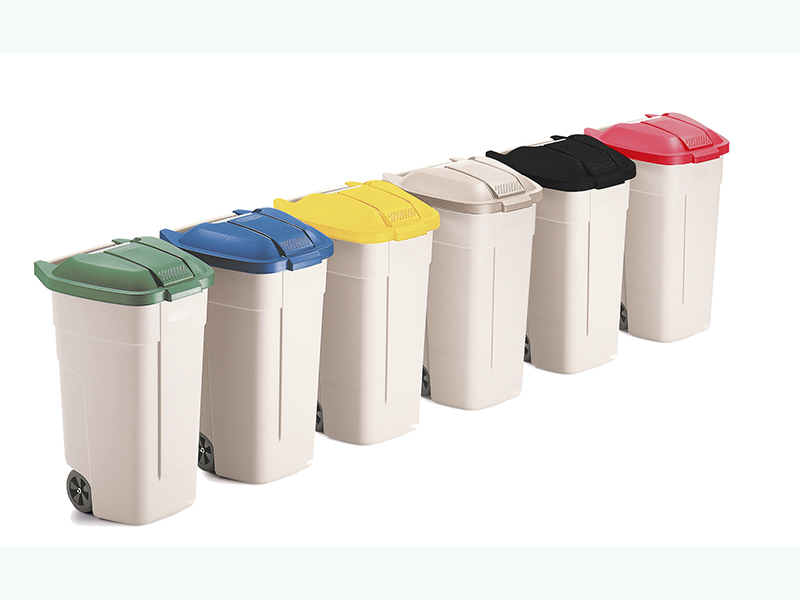 These waste bins raise the bar when it comes to waste management as they are manufactured from heavy duty plastic material that can be cleaned and sanitised after every use. Good bins usually have lids to prevent smell and microbes from escaping in the air and being inhaled by residents or workers. They are also of a certain height and width that can be fitted well in any environment. WhereCan this Product be Used? 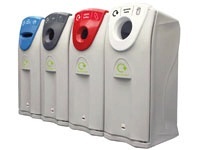 The bins can be used efficiently in offices, schools and hospitals. With their tight lid and step on to open mechanism, there is no need to use one’s hands in handling the medical waste, especially during critical operations. This can also be found in restaurants that should adhere to very strict food handling rules. Having recycling bins makes the food preparation process much easier and cleaner, without the fear of cross contamination happening as waste can be segregated effectively by colour. Who Might Use Reclycling Bins? Aside from these two industries, residential homes can benefit from colour-coded bins. With waste management laws being enacted in relation to climate change, there will be a stricter implementation of waste segregation and greater focus on recycling and composting. It will be much better for homes to have a leg up on this in terms of their daily waste handling. Homeowners can see the benefits of segregation and at the same time, keep their homes clean and safe from deadly pests. Schools can maximise recycling as they provide students a safe way to throw their trash without putting themselves in danger of being in contact with viruses, especially in comfort rooms. It also leads to a good attitude towards proper waste management for children. 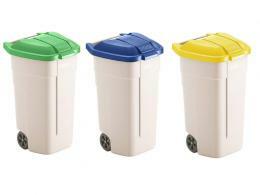 Offices can also purchase recycling bins to maintain the cleanliness of their work areas and save money. The Workplace Depot provides many affordable recycling bins. This one has a classic light grey colour for the body and bright shades for the lids. Each has a 100 litre capacity and has ergonomic comfortable handles for easier mobility and handling of trash. It also has a hinged lid for ease of emptying and recessed castors. Design-wise, the recycling bins can fit any interior’s look and feel. Buyers will have a one year warranty when they purchase from The Workplace Depot.